CASA of Robertson County is hiring a new Advocate Supervisor! Click the link below for detailed job description and application. Do you ever wonder what is happening in the life of a child when no one is looking? It is really hard to say, right? A good predicator is what's happening when we are looking - what is the child saying, what encompasses their environment, how well they are performing academically, are they receiving necessary medical/mental health services, what are their external challenges, and what makes them feel safe. A CASA volunteer is just that, the eyes and ears of the court. 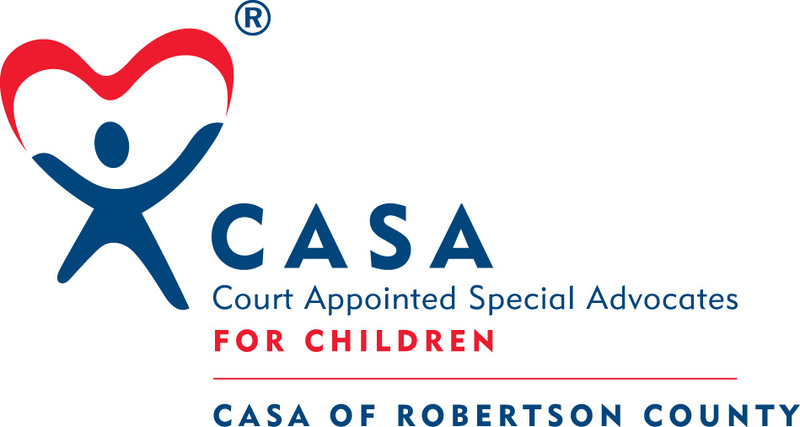 Court Appointed Special Advocates (CASA) provides trained volunteers who advocate in the court for the stability and healthy development of abused and neglected children. Volunteer advocates—empowered directly by the courts—offer judges the critical information they need to ensure that each child’s rights and needs are being attended to while in foster care. Volunteers remain involved with CASA children until they are placed in loving permanent homes. For many abused children, their CASA is the only constant, caring adult presence in their lives.